The Song of the Soul contains 201 verses from the Upanishads, the Bhagavadgita, arid the Bhagavata. It is a Psalter, a scripture, and a manual of life in one. The sonorous stanzas may be recited like a prayer. Garnering luminous passages from the scriptures, it offers lofty themes for meditation. And, suggesting universally acceptable mandates, it provides an excellent code of conduct for humanity. The gems from the scriptures selected from Vedantic texts, the Ramakrishna Vivekananda literature, the Bible, and the Koran corroborate the theme of the Song of the Su1 Anyone worshipping his God in any part of the world through his process of worship would be worshipping the same God worshipped by all religions. The assiduous aspirant after Truth can see the light of Self-realization breaking through every syllable of these expressive stanzas. Whoever repeats the Song of the Soul with shraddha is bound to be benefited in every way. The Vedantic jewels compiled in. the Song of the Soul repeatedly say in one way or other, Be at peace; you are neither the body nor the mind. Your sickness is of the nature of a dream. You have never been other than what you are. And you .are That. The Song of the Soul presents a medicine chest stocked with assorted healing balms, herbs and vitamins for the one who has come to recognize that he needs help and is willing to take his medicine Having taken this medicine shortly after waking, he will be much better able to. cope with his state of delusion, perhaps even transcend it. Whenever the world threatens to oppress him with either praise or blame, the medicine he ingested earlier in the day will serve to keep him aloof from all dualities,. steadily and patiently removing his superimposition. India is dripping with criminalization, casteism and corruption. The greatest task before the country today is to acquire a keen sense of national identity, to gain the wisdom to cherish its precious heritage, and to create a cohesive society with the cement of Indian culture. And, I am sure the Song of the Soul will go a long way in fulfilling this compelling task before our great country. In great statements like ‘tat-tvam-asi - you are that’, the Upanishads speak of consciousness or prajnanam as the supreme Self or Brahman. Brahman is your self. Always remember that, be yourself. BeYourself’ may be taken as the commandment of the Teacher. The last three letters (e 1 f) can be said to stand for ego, lust and fear, which qualities prevent man from being divine. Disentangle yourself from them and you feel forthwith your Godhood or identity with your self. You become yourself. The aim of human life is to realize God and be conscious of one’s divine nature. Sri Ramakrishna said : ‘Man is born in this world to realize God; it is not good to forget this and divert the mind to other things’. The same lesson is taught by all spiritual masters. In order to achieve the aim of life, man should acquaint himself with divine ideals and thoughts from his infancy. All parents, especially mothers, with whom the future of children is ensured, should carefully instill into them a sense of the divine from a tender age. Mothers would do well to practise magnanimity, modesty, and motherliness when they are expecting a baby. This will ensure the wholeness of the child. The Song of the Soul is an attempt to present in a casket one hundred and eight pearls of Vedantic wisdom, collected from such texts as the Upanishads, the Bhagavadgita, etc. 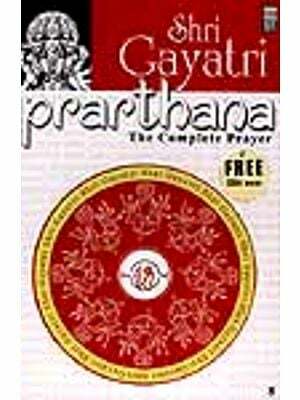 It contains the original mantras in Sanskrit, followed by a simple English version. This would enable the aspirant to repeat the entire wisdom of the Soul daily within an hour, thus giving him a mental pabulum, a spiritual tonic, to revitalize his energy. The Song of the Soul has its origin in the half-hour matins which we had been singing in our monastery since March 1991. The work is a Psalter, a scripture, and a manual of life in one. The sweet and sonorous stanzas may be easily recited as a prayer. Garnering luminous sentences from Sanskrit scriptures, it offers lofty themes for meditation. And, suggesting beneficial commandments, it provides an excellent manual of life for mankind. It is gratifying to note that the devout repetition of this text has helped many in finding a purpose to their lives; it has contributed not a little to their fulfillment. The mantras enshrined in the Song of the Soul are old; but they possess a vitality which age cannot wither nor custom stale. It should not be forgotten that they helped humanity to taste the bliss of the Divine through thousands of years. Even today, by repeating them daily many aspirants are enabled to shake off their longstanding lethargy in spiritual pursuits; they are brought to the threshold of the Spirit. This indirectly confers a divine approval on the book’s publication. The unity or oneness of Self or Brahman which is the subject matter of all scriptures is the theme of the Song of the Soul. Man’s duty is to realize this unity. A whole-hearted recognition and acceptance of this underlying unity would pave the way for universal harmony and peace among nations. But, unfortunately, mankind has been harping on the differentiating and transient aspects of cultures, races and religions. Centuries of such insistence have injured humanity considerably. Let us say goodbye to this attitude, and accept the unifying and everlasting soul of all cultures, races and religions. This will heal our psychical wounds of intolerance and enmity and make us whole. The Song of the Soul gives an essential teaching which eradicates the ignorance and misery to which humanity is subjected nowadays. Sing it with joy at sunrise, every day if possible, and you will find that it has soothed and sweetened you, your home, and your surroundings. You will also feel that the Self within has awakened. One aspirant who regularly sang the Song confided : ‘I am soothed, my family is soothed; I am sure it will soothe every home. It spreads an unusual divine aroma’. I am grateful to the monks of the Ramakrishna order and devotees of the Supreme Lord who not only persuaded me to publish this prayer book, but also helped substantially in its production. May the Divine which sparks from every word of the Song of the Soul inspire the reader to start his day divinely! May he feel more and more divine with every repetition of the song. Let us offer ourselves to Sri Ramakrishna who is the essence of Existence - Knowledge - Bliss, who is soaked in devotion and dispassion, and who is the incarnation of divine Wisdom. We have great pleasure in placing before the readers a revised edition of the Song of the Soul. It is gratifying to note the salutary effect of the book on the readers. One of them said : ‘Your call to concentrate on one’s native divinity during the auspicious hours of the day, when Nature herself does it unostentatiously, helped me immensely. I could perceive the purpose of my life and pursue it earnestly’. All of religion is contained in the Vedanta, that is, in the three stages of the Vedanta Philosophy — the Dvaita, Vishishtadvaita and Advaita; one comes after the other. These are the three stages of spiritual growth in man. Each one is necessary. This is the essential of religion. The Vedanta applied to the various ethnic customs and creeds of India is Hinduism. The first stage, i.e. Dvaita, applied to the ethnic groups of Europe is Christianity; as applied to the semitic group is Mohammedanism. The Advaita applied in its Yoga-perception form is Buddhism etc. Now by religion is meant the Vedanta; the application must vary according to the different needs, surroundings and other circumstances of different nations. In this edition, the Invocation starts with the Teachers Benediction chosen from the Rig-Veda. In chapter 2, twenty-one mantras are added from the Katha Upanishad, as Word 3; the selections from the Mundaka, Brihadaranyaka and Shvetäshva.tara Upanishads are renumbered as Word 4, Word 5 and Word 6 respectively. In the Man of Perfect Wisdom (chapter 3) and the Supreme Lord’s Assurance (chapter 4), eighteen more verses from the Bhagavadgita are included. 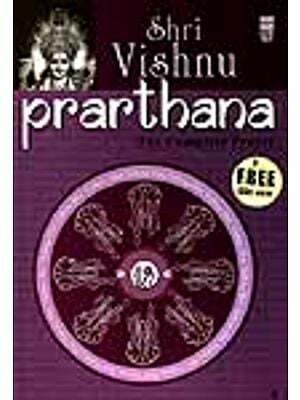 The Sãdhana - panchakam or Five Verses on Spiritual Practice by Sri Shankaracharya -- a unique code of conduct for spiritual aspirants -- is another addition. The Conclusion is renamed as Gems from the Scriptures, and is divided into three parts. The first part, the existing material is enriched by thirteen paragraphs from the Ramakrishna Vivekananda lore. The second and third parts are the Gems from the Bible and the Koran. I offer my thanks to the chosen devotees of the Supreme, who subsidized and supported this edition; they prefer to remain anonymous. May He bless them with devotion, discrimination and dispassion which are The essentials to Self-realization. At the moment, the world is in the grip of an inescapable monster. Tossed between physical debility and mental instability, ideological bankruptcy and intellectual dishonesty, moral decline and social decadence, religious anarchy and spiritual blindness, the world is on the verge of a disaster. It is a fatal condition brought about by habitual recalcitrance and persistent disobedience. Each one feels unsafe, afraid and alienated. The only remedial course left for man seems to be a religious or spiritual revival. What is religion? Religion may be defined as the longing for Self-manifestation. It is probably the strongest instinct in man _stronger than the instincts for eating, sleeping and procreating. But he is yet to realize the need for invigorating his spiritual instinct in order to. live happily and fulfill his human existence. Religious ideas crystallized in different parts of the world according to geographic, linguistic, racial, and temperamental variations. The different religions preached the same God, the core of every religion. So, in all probability, harmony of religions prevailed in ancient days. But, later when selfishness and sensuality spoiled religious adherents, each group began to claim superiority over the other, and to hate every other denomination. In the midst of innumerable Gods and Goddesses, the Indian spiritual genius discovered a unique theory of religious unity. An ancient rishi proclaimed his revelation : ‘ekam sat viprä bahudhä vadanti — Truth is one; but sages call it variously. By implication, this meant that anyone worshipping his God in any part of the world through his process of worship would be worshipping the same God worshipped by all religions. It is this broad based structure which could accommodate everyone in its fold which inspired Swami Vivekananda to equate Hinduism with Vedanta and present it as a universal religion before the World’s Parliament of Religions in 1893. He strongly felt that Vedanta would be the future religion of mankind. Today, after a hundred years of Swami Vivekananda’s pronouncement, the world needs this universal religion in order to resolve the international tension. Sri Ramakrishna and Sri Saradadevi were the latest spiritual manifestations the world has witnessed. Like every great teacher who preceded them, they were never tired of insisting on the need of tuning to a spiritual wavelength. The part played by Sri Ramakrishna in civilizing the otherwise uncivilized world is expressed unmistakably by two modern thinkers, Mahatma Gandhi and Romain Rolland, representing the political and literary fields respectively ‘The story of Ramakrishna Paramahamsa’s life is a story of religion in practice. His life enables us to see God face to face No one can read the story of his life without being convinced that God alone is real and that all else is an illusion. Ramakrishna was a living embodiment of God.’ (Mahatma Gandhi) ‘Ramakrishna more fully than any other man not only conceived but realized in himself the total unity of the river of God....I have drawn a little of his sacred water to slake the great thirst of the world.’ (Romain Rolland). Swami Vivekananda called us ‘Children of immortal Bliss’. Evidently, he used this special appellation in order to remind us of our divine lineage and inspire us to be conscious of it lest we succumb to non-divine leanings. This is the mission to which he committed himself, life after life. ‘I shall inspire men everywhere, until the world shall know that it is one with God’, he said. Resounding the teaching of the Bhagavadgita, Swami Vivekananda advises ‘Put uncanny thoughts aside and becoming children take refuge in Him’. The present publication, the Song of the Soul, may be considered as a possible text for the universal religion proposed by Swami Vivekananda. It starts with an invocation consisting of the well-known prayer for spiritual advancement (Abhyaroha mantra of the Vedas), the morning prayer (Pratassmarana-stotram) composed by Sri Sankaracharya and three verses from the Bhãgavata. This is followed by the Gyatri-mantras and, the Shänti mantras (peace chants) of the four Vedas which form the first chapter. Chapter 3, the Man of Perfect Wisdom, is selected from the Bhagavadgita, and the Bhägavata. The man of perfect wisdom is the human representation of the teaching of the Word. He shows a model for future humanity. Dehypnotizing ourselves let us follow in his footsteps. Let us remember our Atmanhood and be conscious of our divinity. Chapter 4 is the Supreme Lords Assurance from the l3hagavadgitã, which consoles us. The Song of the Sannyãsin by Swami Vivekananda is a Song of the Soul in English which describes the state of Self-knowledge and the means to its realization; it naturally forms an integral part of the book. The Conclusion restates the contents of the present work in the language of the scriptures. The Appendices consist of the Song of the Gopis from the Bhgavata and hymns in Sanskrit written by Swami Vivekananda and Swami Abhedananda in praise of Sri Ramakrishna and Sri Saradadevi. These compositions suggest that purity of heart and self-abandonment to God are the remedies for the ills of the mind. Thus divinization of life is the only course left to us to avoid the sufferings staring at humanity at the close of this century. It is our own doing, our persistent refusal to follow God. In these days, many leaders, whether religious or social or political or scientific or academic, publicize mostly their idiosyncrasies and incongruities to impress on others their claim for distinction. As they are not sure of the Atman, the inner Essence that unifies them with all, they insist on an exterior quality which differentiates them from others. This unhealthy approach has brought us to the brink of a disaster. Each one suspects the other and tries his best to destroy the other at the least provocation. The teaching given by the Song of the Soul evidenced by the Word and the Man of Perfect Wisdom is relevant for man. It shows an easy way, which would directly take us to spiritual perfection, characterized by renunciation and Self-knowledge; it is ever illumined by the light of the Self (Atman). At present, the road has become dark owing to the practice of lust, anger, and greed on the part of the aspirant. But, the path will soon be clear if the aspirant earnestly practises devotion, renunciation and discrimination. Believe in the benediction of the blessed ones, and march on to beatitude.